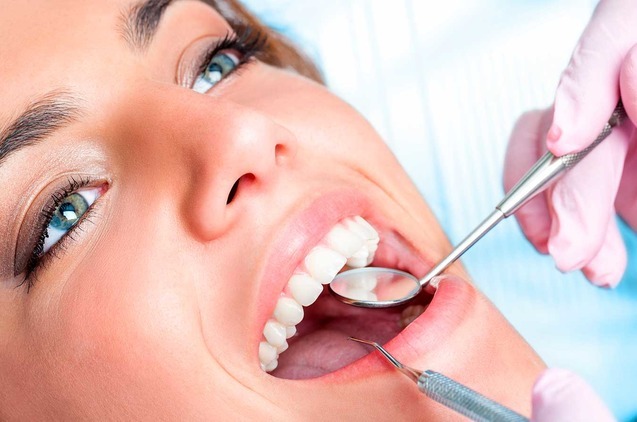 Periodontics is the dental specialty that studies the prevention, diagnosis and treatment of diseases and conditions that affect the gums, for the maintenance of the health, function and aesthetics of the teeth and their adjacent tissues. Periodontal disease manifests as gingivitis (inflammation and bleeding of the gum without affecting the bone) or periodontitis, where the destruction of the bone that supports the tooth occurs. If it is not treated in time it can cause the loss of teeth. A periodontal treatment consists of correcting the hygiene technique for the control of bacterial plaque, until the elimination of the factors that trigger it (dental calculus or calculus and periodontal bosses). In our practice we combine the most advanced techniques, such as the diode laser, to maintain your perfect oral health status.